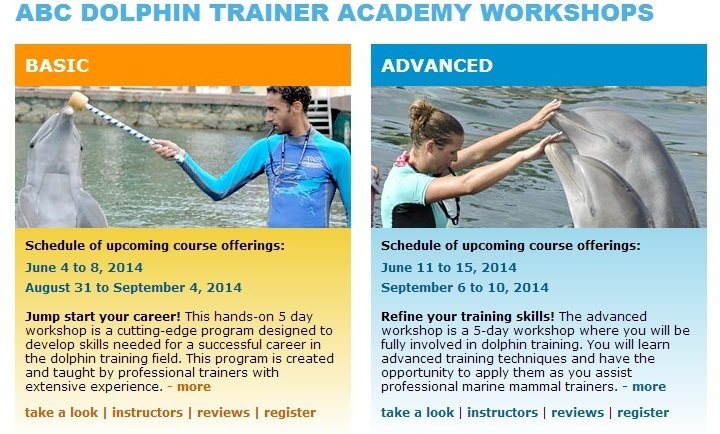 Poster Boy Kareem Magrhaby and blood dolphin trainer (Far right) poses for ABC Animal Training Cover page. 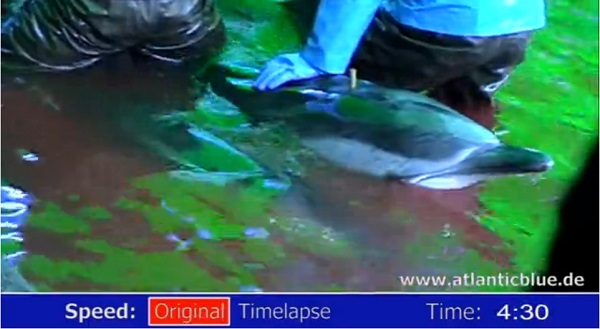 The dark twists and turns of the trade of blood dolphins continues to bloody the waters of the captive industry. 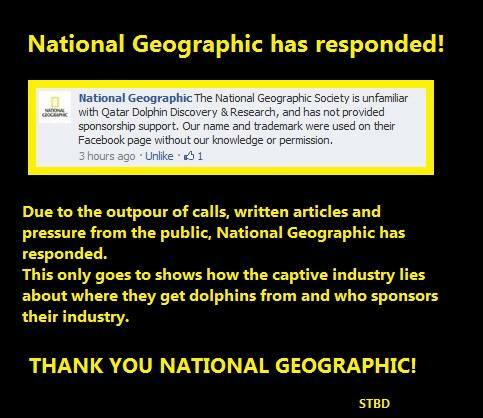 Recently a soon to be opened dolphinarium in Souq Waqif, Qatar called Dolphin Discovery & Research announced that they were to be sponsored by National Geographic: “Good morning people, Qatar is a proud to be a sponsored National Geographic!”. Following the publication of blogger Elizabeth Batt’s article, “Op-Ed: Is Nat Geo sponsoring a company that purchases Taiji dolphins?”. National Geographic quickly came forward and denounced Dolphin Discovery & Research’s claim as a lie and accusing them of using the Nat Geo logo without their permission. Unbeknownst to dolphin activists Kareem Magrhaby who now claims to be ex-executive director for Dolphin Discovery & Research, a subsidiary of Nero, or Nerum LLC can also be called the poster boy for ABC Animal Training a facility working with the International Marine Animals Trainers Association (IMATA). The International Marine Animal Trainers Association (IMATA) responsible for certifying dolphin trainers worldwide inundate their trainers well with propaganda in an attempt to remove complicity with drive fisheries. Qatar Dolphin Discovery & Research stand behind the myth that they are “rescuing” dolphins driven onto the bloody shores of The Cove for selection and slaughter. Although bottlenose dolphins may be spared slaughter for just the month of September through an official agreement brokered by WAZA (World Association of Zoos and Aquaria) and JAZA (Japan Association of Zoos and Aquaria) which seeks to distance the captivity industry from the actual killing in the cove, this ‘dolphin management protocol’ does nothing to address the continued collusion of the captivity industry in underwriting the slaughters that occur in Taiji. “These are not domesticated animals; they are wild dolphins that are captured within their social groups, mother and young, and slaughtered using a technique that actually prolongs death, pain and suffering. The herding procedures themselves are inhumane and may include forced submersion as the dolphins are dragged by their tails to shore to be killed”. TWEETSTORM on September 25th to tell Qatar Dolphin Discovery & Research www.facebook.com/QatarDolphinDiscovery (link is not visible in USA) that dolphin slaughter is not acceptable and we will not stop until the dolphin slaughter and capture stop! Join us for the #Tweetstorm September 25, 2013 as we put the focus where it belongs on the captive industry! TWEETSTORM on September 25th to tell Qatar Dolphin Discovery & Research www.facebook.com/QatarDolphinDiscovery (link is not visible in USA) that dolphin slaughter is not acceptable and we will not stop until the slaughter and taking of dolphins into captivity stops! This entry was posted in Cetaceans, Dolphins, Taiji Diaries and tagged Blackfish, Bottlenose dolphin, IMATA, National Geographic, Orca, SeaWorld, the Cove, WAZA by Kirsten Massebeau. Bookmark the permalink.